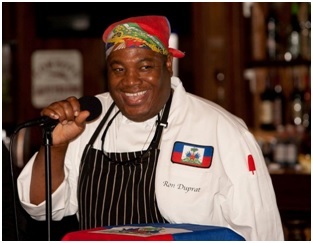 Chef Ron Duprat – Thermal Circulating Bath. It enhances the flavor, texture and aroma of dishes. Chef George Duran – Pickle Picker. It is a device that has 3 prongs and so easy to use to get those must have pickles! I love the name and it is a tool that not everyone has. Chef Brian Rutherford – Japanese Mandolin. It is a versatile veggie cutter and it cuts vegetables very thin and very fine like a julienne cut (cutting into long, thin strips, like matchsticks) and batonnet cut (another type of long strips). Chef Anish Rana – Knives! I love Wüsthof knives which is a German brand. Chef Jason Connelly – Spoons. I love my spoons like Banquet Spoons. They are versatile and can use them on fish and veggies and saucing. Chef Lorenzo Boni – French Made Cast Iron Dutch Oven – I love the way it is designed and it cooks so easily and the food comes out great! Chef Robyn Almodovar – Spoon. A nice tablespoon. Chef Charlise Johnson – KitchenAid Mixer – they are so amazing. I make all kinds of things with it like dinner rolls and cupcakes. It makes life so much easier. Chef Andrea Litvin – A Scale – I must know exact measurements down to the gram! Chef Lisa Nakamura – A great pair of Knives – you can do anything with them. I like the brand, Global because they are easy to sharpen and maintain. Chef Carlos Gaytan – Vitamix Blender. I can do many things with it like sorbets and purees. Professional Chef Knives seem to be the leading choice…..
We would like to know what are your favorites that you cannot absolutely live without in your kitchen? Are 2014’s Culinary Trends taking effect in full force? The most noticeable themes amongst 2014’s culinary trends all fall under the umbrella term “healthy eating.” Emphasizing locally grown foods, sustainable options and whole grains, chefs are now focusing on creating flavorful cuisines that please both the palate and the conscience. Creativity and sustainability play a part in the development of cookery, perfecting the balance between what tastes good and what is actually good for you without compromising either. 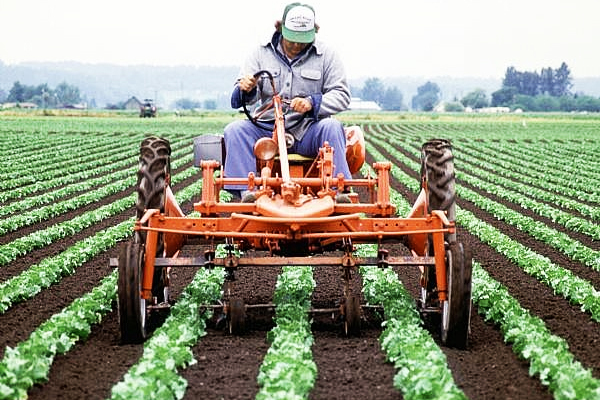 A major factor to consider when choosing ingredients and producers is the value that comes with selecting locally sourced produce and meats. These trends signify that consumers are starting to realize that the impact of their culinary choices affect more than what ends up on their plates. With these trends in play throughout the 2014 culinary year, chefs and restaurateurs alike are finding the balance between delicious food and food that is good for you without compromising either. Given this information, it is important to notice what a role that sustainable practices play in the restaurant industry – a factor that affects the customer’s decision to dine at a venue even before they set foot in the establishment. The National Restaurant Association’s Conserve Program known for “serving up sustainability” provides statistics on these trends. In the 18-34 year old age demographic, 43% said that environmentally safe food is an important factor in making a dining choice. In addition, 55% of consumers would be more prone to select a restaurant if their menu items were produced in an organic or environmentally-friendly way. As we are halfway through the 2014 year, ChefUniforms.com would like to hear your thoughts on this year’s culinary trends and if these predictions ring true! Chef Duprat has a selfless nature and a huge heart as well! According to the chef himself, his biggest passion in life after cooking is to give back, not only to his homeland and nonprofit and charitable organizations but also mentoring new chefs to help them grow and be successful in their culinary art. He stated in our interview with him that aside of being a chef, he is a strong advocate for Haiti; specifically promoting a sustainable food movement that would reduce the country’s reliance on imports, and focus more on local production. He is a supporter of policies that limit the amount of imports the country uses and reward the use of Haiti’s existing culinary resources – ultimately resulting in job creation for the country’s farming industry. Eating healthy, and specifically the fight against childhood obesity, is an area that he is passionate about. According to data from the National Survey of Children’s Health, obesity is disproportionally more rampant in areas with low income and education and high unemployment rates. These statistics have driven him to come up with solutions for providing high quality, healthy food at affordable prices. Haiti’s fresh and healthy ingredients lend well for creating dishes with these qualities and he is exploring business ideas to get these dishes into the hands of people that need them. Chefuniforms.com wanted to highlight the organizations he has partnered with. Through his philanthropic efforts, they have contributed and given back to the culinary community and people all over the world. The American Culinary Federation, Inc. (ACF) promotes the professional image of American chefs worldwide through education, training, accreditation. Real Men Charities, Inc. focuses on providing opportunities for committed and detached men to become involved, responsible, and committed fathers through education and outreach on food resources, healthcare and public policies. The BCA is a nationwide non-profit organization whose mission is to create exposure and provide educational and professional opportunities for African American culinary and hospitality professionals. No Kid Hungry teaches kids in need and their families the importance of nutrition, and how to cook healthy, affordable meals. Le Cordon Bleu in Miami offers intensive and practical culinary training programs. First Lady Michelle Obama’s Let’s Move! Let’s Move! is dedicated to solving the problem of obesity, by ensuring that every family has access to healthy, affordable food. Basil Magazine is a global Food & Wine publication that also focuses on lifestyle and philanthropy. Fleur De Vie (or Flower of Life) is a not for profit organization that works with struggling not for profit organizations globally in order to implement social change in their communities. Food for the Poor is an international relief and development organization that provides housing, healthcare, education, fresh water, emergency relief and more. 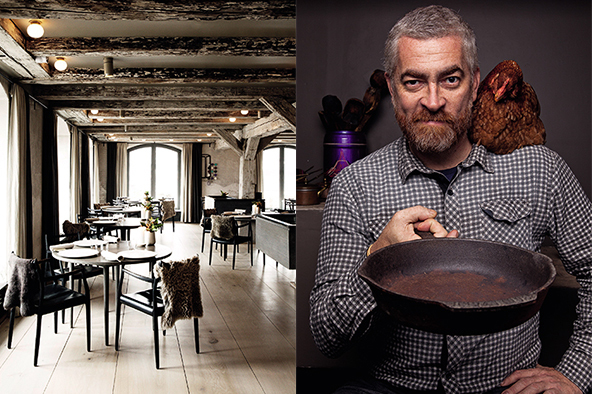 In order to learn more about our Chef of the Month, we thought it might be helpful to educate our readers about his birth place. Ron Duprat was born in Mare Rouge, Haiti. It is located in the northernmost region of the country, with a population of almost 450,000 and an area of about 2,200 square kilometers. The closest major cities to Mare Rouge are Port-au-Prince, Delmas, Carrefour and Guantanamo. Haiti produces: coffee, mangoes, sugarcane, rice, corn, sorghum, and wood. National Sport: Soccer. Haiti first competed in the World Cup in 1974. Haiti is the most mountainous nation in the Caribbean. Hayti is the Indian name for the country and means “land of the mountains.” The mountain peaks reach over 8,000 feet (2,400 meters). 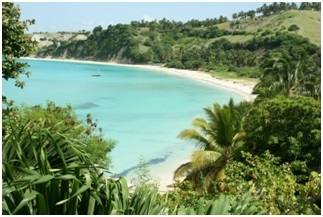 Haiti is the second oldest independent nation in the Western Hemisphere, after the United States. 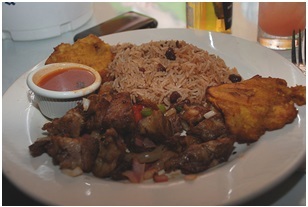 One of the most popular foods in Haiti is Griot, a fried pork dish. We thought you might enjoy this great looking recipe from Haitian-Recipes.com. Cut the meat into medium sized pieces. Wash thoroughly with the lime and/or sour orange juice. Season well with Adobo seasoning salt, rosemary, thyme, parsley, garlic powder, pepper and let marinate for 4 hours (or overnight for even better results). In a saucepan, cover meat with water and boil over medium-high heat until water evaporates. Stirring occasionally, continue to cook until meat is tender. Serve hot with banan peze and diri kole. Are any of our readers from Haiti? Please share a fond memory from back home, or your favorite dish from the country below!